Hello? Is this thing on? 🙂 I had no intention of being away so long… but life happened and so here we are. I’ve been itching to dust off this space for a while, but was fearful the words wouldn’t come. But wouldn’t you know that with January came some thoughts and ideas. January is “that month” for me — a cozy time of reflection and dreaming, resting and re-energizing. There’s been a lot of life lived in the last year. I’m quite sure that I’ll be sharing a good bit of it at different points in time. But rather than dig back into all of that now, why don’t we just start fresh with a round-up of life right now? Loving. My quiet time. Coming off the frenzy of the holidays and the reality that with my job I am almost always “on”, I’m seizing every bit of quiet time I can get — a couple of late afternoon hours, weekends, early mornings. Somehow the older I get, the more margin I need. Time to read, sip coffee or tea, brainstorm, doze off. I know as spring approaches it will get harder to carve that out, so I’m relishing it for now. Reading. Actually, I’m reading a handful of things now, but my book club just read A Tree Grows In Brooklyn by Betty Smith. Have you read it? It was always on my list as one of those “I-should-read-that” classics, but it never made the cut. I’m SO GLAD I finally did… it’s an enjoyable read, full of interesting details and characters in the melting pot of Brooklyn in the early 1900’s. You have to pay attention to the timeline, but this is a character-driven story, so absorb the descriptions and dialogue. I love that it ends on a note of hope and possibility, in spite of the grim realities so many immigrants faced during that time. What else? 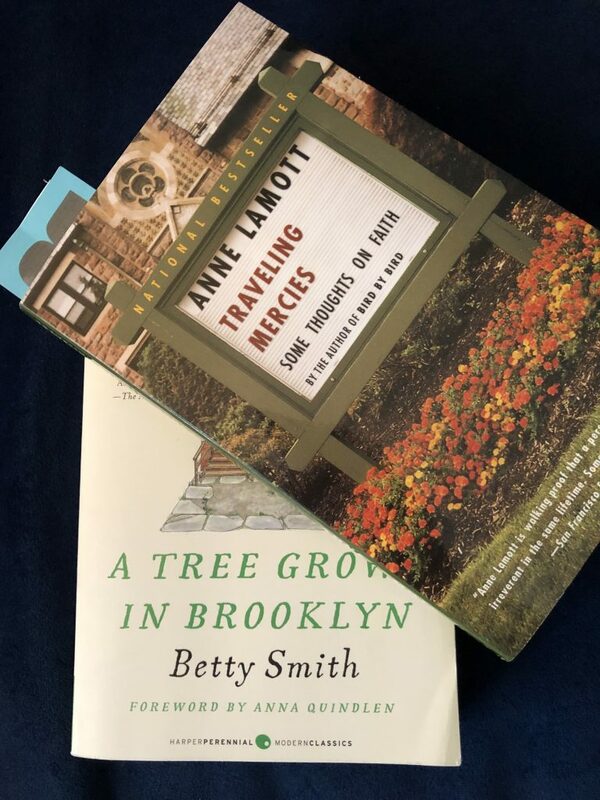 Working my way through Ann Lamott’s Traveling Mercies. I like to mix in some non-fiction in between (and sometimes during) my fiction reading. It may be a memoir of sorts like this one, something business or non-profit related (hi, Legacy! ), or a book on faith. But I find it cleanses my palette a bit to do this along the way. I’m also back to reading a good number of blogs, which I have sorely missed! While I love Instagram for the visuals, I do prefer the good old-fashioned blog post for substance. I’ll do a post soon of the blogs I’m enjoying these days. Those battered edges and drips of paint are memories. But after 20 years of service, it’s time to give her the makeover she deserves. And of course, I’ll share my plans, process and results with all of you. I have a few more “Currently” items coming your way in the next week or so. You may have noticed a fresh header on the old blog here. 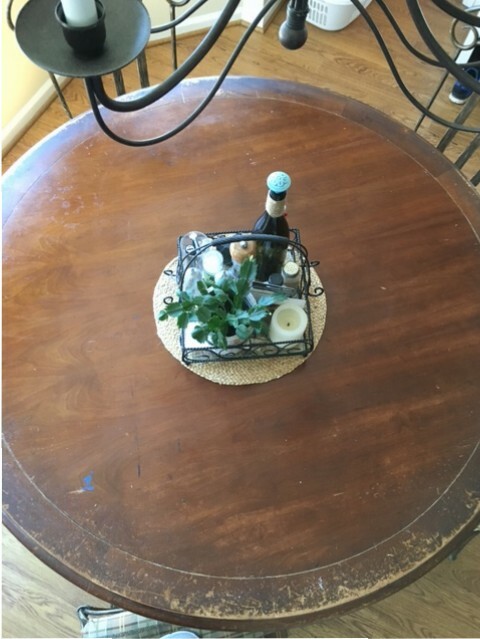 It’s really a band-aid until I can implement a full makeover, but as I’ve turned away from sharing mostly décor and DIY, I think it’s time to reframe our space here, don’t you? What about you? What’s currently happening in your world? I’ve missed being here and am looking forward to more time with all of you. What topics would YOU like to see me cover here? I’m all ears! You’re back! Looking forward to more, I’ve missed you.